Afghans and Pakistanis made homeless by this week’s earthquake could die from exposure, aid workers have warned. There is an urgent need for tents and blankets for those forced to spend a second night outdoors, they said. Children are especially at risk of succumbing to the extreme cold. Thousands spent last night in near-freezing temperatures, reluctant to go back inside for fear of aftershocks, Pakistani media reported. At least 360 people are known to have died in both countries, but officials are warning the number will rise, particularly in Afghanistan. The UN children’s fund said a combination of intense cold and insecurity were cutting off some communities. Remote and mountainous quake-affected areas have been hit by heavy rain and snow for the past two days, according to a UNICEF statement. “Communication is poor and access difficult due to the tough terrain and security operations,” the statement says. The earthquake’s epicenter was in the Afghan province of Badakhshan, where it damaged many of the province’s scarce roads, officials say. Providing aid by air will be one of the most effective ways of reaching those in dire need, they say, but such operations are unlikely to start for many days – until survey teams on foot are able to visit the affected areas and report on the damage. The Pakistani town closest to the epicenter is Chitral, but it also shook buildings in the capital, Islamabad, and in Peshawar. The tremor lasted for up to 45 seconds early on October 26, creating cracks in walls across a wide region and leading to electricity blackouts. 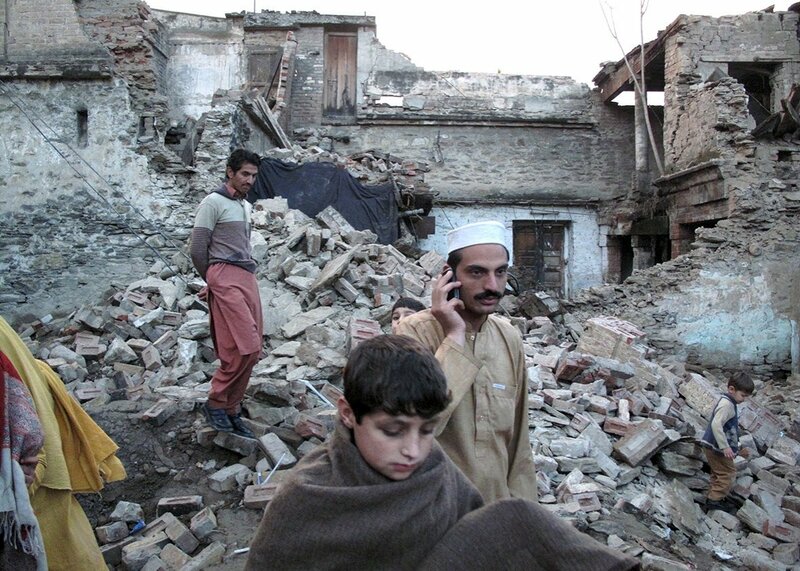 Officials say more than 1,600 people in Pakistan were injured in the quake, and more than 4,000 homes destroyed. The worst-hit area was the picturesque Swat Valley and areas around Dir, Malakand and Shangla towns in the mountains of Khyber Pakhtunkhwa province. Though relief is getting through to displaced people, Pakistani media reported that at least 5,000 villagers in the remote Kalash Valley remained homeless and charities could not reach them. Many people remain trapped under piles of rubble, with officials warning that the death toll was set to rise. In Afghanistan, the quake destroyed more than 7,600 homes, a statement from President Ashraf Ghani’s office said. He has ordered the military to make themselves available for the relief effort. Taliban rebels urged Afghans “not to hold back in providing shelter, food and medical supplies'” to quake victims and said their fighters would help the relief effort.